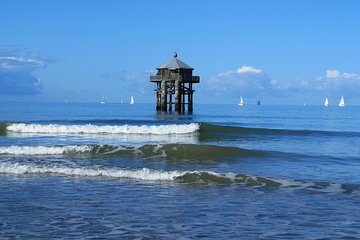 Cover more sights in less time as you travel around the La Rochelle seafront on a guided Segway excursion. The tour includes operating instructions, making it well-suited for first-time riders. You’ll explore the history of the seafaring hub with stops at several scenic viewpoints, including a panorama from the “Lighthouse at the End of the World.” Choose between flexible departure times and listen to live commentary through a small headset.